Many of us are searching for something these days. 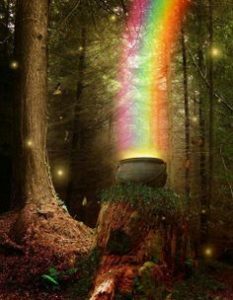 It could be the elusive ‘pot of gold’, or a relationship of love or anything in between. What is it that drives us to search for something that may not even exist? I believe it is a deep inset wiring that we have. It creates a belief that we are not enough on our own. Based on that belief we search for that ‘something’ which will complete us or give us the missing peace in our lives. How do I know? It is because I still have moments where I search outside of myself to find something that that will give me momentary satisfaction, momentary relief or joy. Don’t misunderstand me, but we need to decide what we are searching for and how this will enhance our lives. Will it make us a better human being? Will our search take us to a place where we will become lost in the search, separated from our lives, in all areas? Or will this search bring us to a place of enhancement and empowerment that will not only assist us to rise to a higher state of being but those around us? Let me explain. If we are looking continually for the elusive windfall, that pot of gold that will just ‘fall into our laps’, we will probably go on searching for the rest of our lives. Our family and friends will get tired of our plans and dreams of ‘making it rich’ and when we begin talking about our grand schemes they’ll zone out. Have you experienced something like this already perhaps? What about the dream to travel the world? How many other dreams have you allowed to fade off too? Perhaps your searching is not of wealth but a relationship. You’re waiting for the perfect partner, the one that God or the universe has specially created for you? Well maybe, just maybe that perfect partner passed you by 3 months ago but because you focused on the tomorrow and the dream you never saw them reach out to be friends and have something grow from that. This same scenario can be played out in any way you like, whether the search is for the opportunity of wealth creation. Perhaps that option of change for you came and went because you just didn’t think that person or that offer had the real depth of value. We sometimes look far too hard into the future to find what is coming our way that we forget to enjoy the now moments. Perhaps what we are searching for is right in front of us and we keep missing it because we believe that it can’t be that easy. 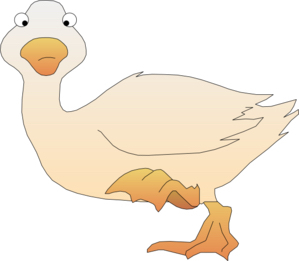 I heard a great saying once, ‘if it walks like a duck, sounds like a duck and looks like a duck, you can be pretty sure it’s a duck’. Why do I mention this? Basically because if we believe that everything has to be hard and we have to keep searching for what we think we need and don’t take the time to stop and look at what we do have? We will end up with a life of regrets. When was the last time you picked a flower and gave it to someone you loved? Or reached over and touched the hand of a family member just to say ‘hi, I’m here if you want to talk’. When was the last time you picked a flower and gave it to someone you loved? Or reached over and touched the hand of a family member / friend just to say ‘hi, I’m here if you want to talk’. Relationships, wealth, travel, healing, all the things we search for so avidly are right in front of us. Our relationships start with us. If we cannot see who we are, if we cannot define our strengths and weakness and deal with the issues that trigger us, we will never find the perfect partner ( life or business) – they just don’t exist. What we will find when we learn to love and accept ourselves for who we are, is someone who will walk alongside us knowing our faults and all. Our wealth is not just going to fall out of the sky. Though it just may start increasing when we start to have a love affair with it. Money is not evil, nor is it to be adored! It is to be lived within a manner of appreciation. What do I mean? If we are always grumbling that we never have enough money then that is exactly what our money side hears and so we create situations to show us time and time again that money is insufficient in our lives. What if we turn that around and begin to say that we have enough for what we need, then when our bills come we say something like ‘isn’t it great I have enough to pay this and some left over’, or we view money as energy. The energy we put out is the energy we get back. Bad vibes out, bad vibes in. What do I mean? If we are always grumbling that we never have enough money then that is exactly what our money side hears and so we create situations to show us time and time again that money is insufficient in our lives. YET if we turn that around and begin to say that we have enough for what we need. When our bills roll on in, we say something like ‘isn’t it great I have enough to pay this and some left over’, or we view money as energy. I know it sounds all ‘woo woo’ and airy fairy but there is a truth there if you can look beyond the words. The energy we put out is the energy we get back! Bad vibes out, bad vibes in. Great vibes in great vibes out! When we start to treat our bank balance and money as a real partner in our lives we will begin to see changes in the balance. But remember, you do have to WORK with this as it will take time, to change the mindset you have and create a new one. You have to see your attitude to money and how it works with you as a viable living relationship. You are the one that controls your thoughts, attitude and words about money and its influence in your life. The list of what we are searching for is endless, and so are the answers. The things I have mentioned here are but a few that we deal with in our lives’ journey. There are some searches that are more personal, particularly if we are searching for inner peace or inner health, answers to a dream that keeps repeating in your mind, or you have questions about why you are here, now in this life on this planet. What is your purpose? All of these questions can be answered, perhaps not immediately with a pat, one off answer but the answers are there. If you’d like to know more and get assistance in finding these answers or others you may have, if you want to reset that belief that you’re not enough then contact me below and we’ll journey together to find the answers that are relevant to you and your life.